The kids are out of school which means they are most likely already bored if you haven’t found a summer camp. So what are you going to do to keep them entertained without emptying your wallet? If they love animals, you may want to check out the Arizona Animal Welfare League. If you have not heard of AAWL , it is one of the oldest and largest no-kill animal shelter in the Valley. They also offer many ways for kids to learn about the shelter and caring for the animals. One way is through their week-long summer camps. More than four million people are bitten by dogs each year despite the fact that these incidents are very preventable. In honor of National Dog Bite Prevention Week from May 17 to May 23, the Arizona Animal Welfare League and SPCA is helping pet owners and those who come in contact with dogs stay safe by offering helpful reminders and warning signs. PHOENIX (3TV) - If your kids loves animals, they are going to love the summer camps offered at the Arizona Animal Welfare League. The summer camps are held each summer over a 9-week period at the AAWL & SPCA Education Campus. Week-long sessions are offered for children ages 6-17 and cover a range of topics from animal care, veterinary medicine, responsible pet ownership and wildlife education. 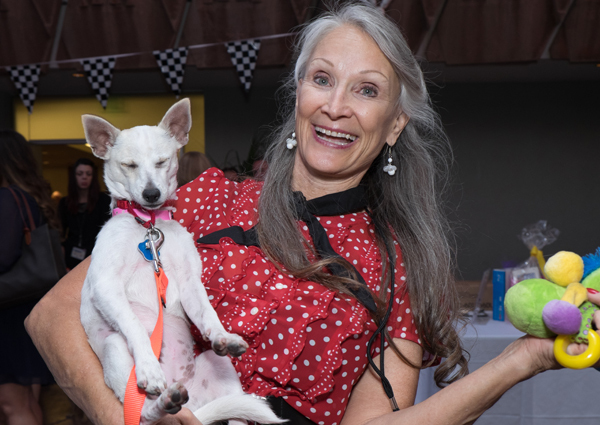 The Arizona Animal Welfare League, the state’s oldest and largest no-kill shelter, hosted its fundraiser, An Evening to Paws, at the Hotel Valley Ho. The March 20 evening was a casual ’50s-inspired affair, complete with Doo Wop music, an auction, AZ Lindy Hop dancers and ’50s diner food. PHOENIX -- A Valley group encouraged owners Thursday to get their canines microchipped in honor of National Lost Dog Day. "According to national statistics, one-in-three pets will be lost each year," Judith Garner with the Arizona Animal Welfare League and SPCA said. An estimated 90 percent of pets that go missing do not return home. Microchips can help get pets back to their owners. PHOENIX (3TV) - Remember the fun of slumber parties as a kid, playing and staying up late with your friends? Local News Sponsors Kitty Cam! 12 News has partnered with the Arizona Animal Welfare League and SPCA to bring you your daily dose of adorable, adoptable cuteness. Watch our 12 News live Kitty Cam and watch your favorite little ones play, cuddle and have fun around the AAWL and SPCA kitten room. PHOENIX -- If you're looking to adopt a pet, a pet slumber party may help your choose the right one. "People kind of have this expectation that the animal's going to run right over to them, wag their tail, jump in their lap and start licking their faces and that doesn't always happen," Judith Gardner with the Arizona Animal Welfare League said. Some pets don't show well in a shelter environment.